Though Microsoft is actively encouraging you to buy its Surface Pro (2017) tablet at $200 off, an even better deal lies behind the scenes: a whopping $550 off the top-rated Dell XPS 13 9360, knocking the price down to $749. Both are part of Microsoft’s 12 Days of Deals. 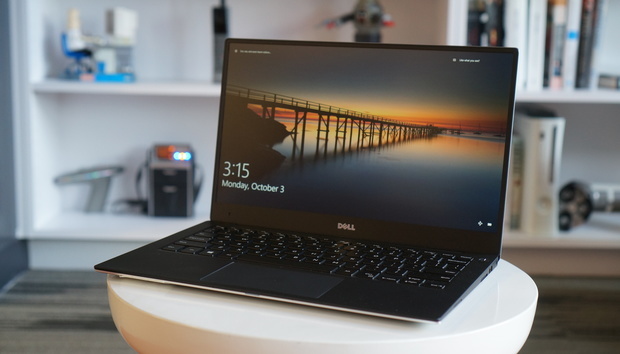 In addition to these, Microsoft is offering a slightly bigger, beefier, gaming option: the $1,299 Dell XPS 15 9560 with a GeForce GTX 1050 discrete graphics chip, for a $350 savings. Of course, Microsoft’s primary purpose is to promote its own hardware. As stated above, all configurations of the Surface Pro (2017) tablet can be had for $200 off. It’s a solid Windows tablet that we mainly criticized because of its price. If you’re a student, consider the excellent Surface Laptop (now $200 off), whose long battery life is a boon. And if you’re all-in on the Microsoft ecosystem, consider the Harman/Kardon Invoke: a terrific-sounding, Cortana-powered speaker that’s now more than $100 off, bringing the price down to $99. Microsoft’s PC deals page offers even more choices, and you might find a gaming desktop or another laptop that tickles your fancy. What these hidden discounts tell us, though, is that there will be even juicier deals as we tick closer to Christmas. « FCC votes to kill net neutrality in an unsurprising move. What happens now?